Inis Oírr Quilters...... Mná le Chéile: We call these 'one night wonders'! 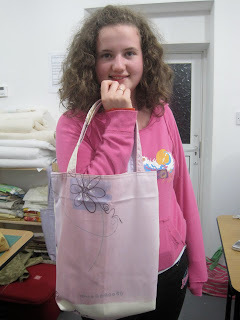 Emily plans to use this handy tote when she returns to school in a few weeks. 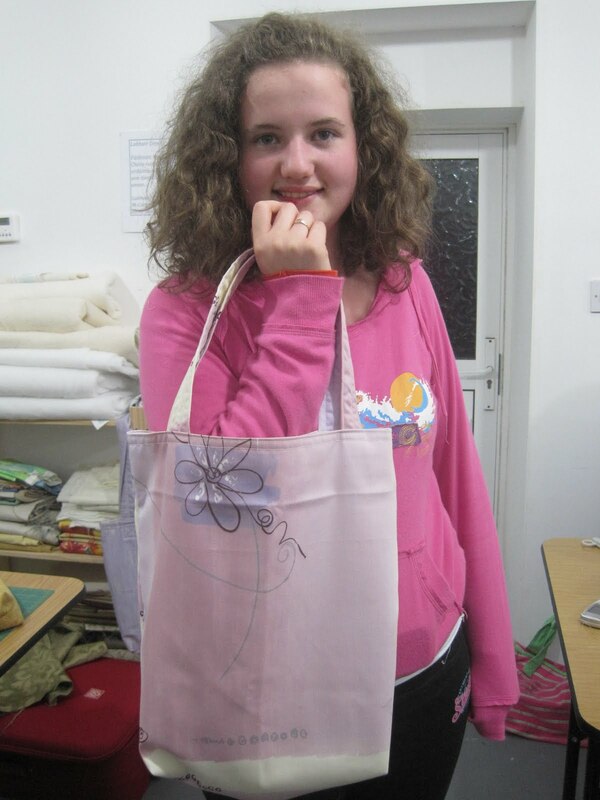 Jan refreshed her sewing skills with a simply lovely 9-patch cushion cover. 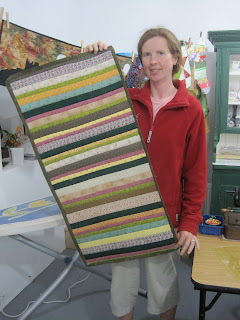 This creatively pieced cushion cover, made entirely from scraps, was designed, pieced, and quilted in just two nights! Oona-Ifé will be taking this back home to Wisconsin as a gift for her sister. Made with pre-cut strips, using a 'quilt as you go' technique, Carole made a table runner/centerpiece to take home to Dublin.